What is Astro Raj Yoga? 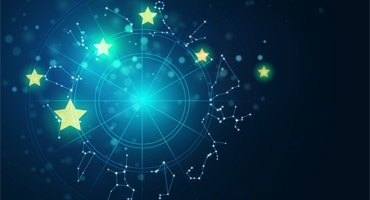 Astro Raj Yoga/ज्योतिष राज योग: Astrology is the mode of study in which the auspicious and inauspicious effects of planets, stars on human being and earth is learnt. The compound meaning of astrology is the knowledge of planets and constellations(Astro Raj Yoga). With this knowledge we can understand and pre assume the happenings of the life regarding time, date and day as well as we can know that in which region or line of action, we can prosper and how much and by which way. In astrology prosperity is called as Rajyog and declension from the position is called penurious yoga(Astro Raj Yoga). The meaning of Astro Raj Yoga is the presence of planets in the horoscope in such a way, that gives prosperity, success, happiness, money and regard easily. The person having Rajyog(Astro Raj Yoga) in horoscope can get all the happiness in the life to live a regal life. If our horoscope indicates that Rajyog(Astro Raj Yoga) will remain for a pretty long time, then we can have all the luxuries of life according to Rajyog. For example Mahatma Gandhi had Rajyog in his horoscope named Rudra. This forms with the combination of Mercury and Jupiter(Astro Raj Yoga). The person have this in his horoscope, becomes the celebrity in the country and abroad. This man could be the ruler of the country and after his death his name remains immortal. Similarly our 1st President Dr. Rajinder Prasad had Gajakeshari Rajyog (Astro Raj Yoga)in his horoscope and he became the president of the country(Astro Raj Yoga). The horoscope of Lata Mangeshkar shows the Gandhrav yoga of Rajyog, hence she is having the sweetest voice and called the nightingale of India(Astro Raj Yoga). If anyone is having impecunious yoga in his life, he can contact a good astrologer and take the information so that remedies can be adopted to change the same. World renowned astrologer, doyen in prediction and fore teller, highly revered preceptor Dr. Narayan Dutt Shrimali is having “Surpati Yog” in his horoscope which is called a Rajyog in Astrology. In his horoscope Saturn is in 9th house of Aquarius and lord of the 10th house Jupiter is pretty sitting on the 5th house and has a full sight on Saturn. According to this position of the planets, the person is said to be a Royal person as per the astrology. He has written over 300 books on various topics. Shrimali received the title of “Maha Mahopadhyay” in 1982 from the then Vice-President of India, Basappa Danappa Jatti and in 1989, he received the title “Samaj Shiromani” from the then Vice-President of India, Shankar Dayal Sharma. 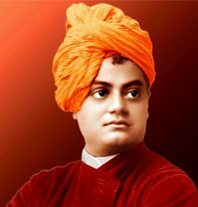 Swami Vivekananda was an influential spiritual preceptor of Vedanta. His real name was Narendra Nath Dutta. He had represented Sanatan Dharm as a delegate in the delegation of Dharma Mahasabha at Chicago. The theme of Vedanta and spirituality reached to west only through him. His horoscope detects that he had “Ruchak Rajyog” which forms among five legends and is a great Rajyog. The person born under this Rajyog is a physically strong person and all his works are globally acclaimed. He also brings reputation for the country. This man has a magnetic attraction which attracts devotee and other people. His status becomes like a king. Swami Vivekananda was intelligent since childhood. He was the only student to have received first division marks in Presidency College entrance examination. An avid reader of various subjects, including religion, history, social science, art and literature, he also had profound interest in Puranas, Vedas and Upanishads. 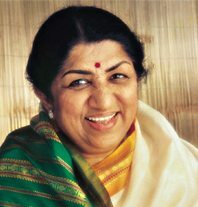 Lata Mangeshkar is the most revered and famous singer of India. For last six decades she has achieved many laurels in the field of singing. She has sung the songs in more than thirty languages for films and non film songs. In her horoscope “Gandharva Rajyog” is detected. This occurs when Jupiter and Venus comes under same Lagna. By birth Lata Mangeshkar has Taurus Lagna and Jupiter is pretty sitting there. In the centre of 4th house Jupiter and Venus are forming Rajyog. This is found very rare. Under this Yog people become lyricist, singer and performers which give immense pleasure to audience. This person becomes a renowned person globally. Mangeshkar’s career started in 1942 and has spanned over seven decades. She has recorded songs for over a thousand Hindi films and has sung songs in over thirty-six regional Indian languages and foreign languages, though primarily in Marathi and Hindi. She is the elder sister of singers Asha Bhosle, Hridaynath Mangeshkar, Usha Mangeshkar and Meena Mangeshkar. India’s highest award in cinema, the Dadasaheb Phalke Award, was bestowed on her in 1989 by the Government of India. She is the second vocalist, after M. S. Subbulakshmi, to have ever been awarded the Bharat Ratna, India’s highest civilian honour. 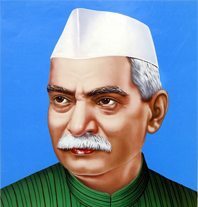 Dr. Rajendra Prasad was the first President of India who was a prominent leader of Indian freedom struggle. He played a vital part in making the constitution of India which made India republic on 26th January, 1950. He was a simple person born in a mediocre family but became The President of India due to “Gajkesari Yog” in his horoscope. It happens when Moon is in centre. In his horoscope Jupiter is 9th house and Moon is in 6th house. This person is surrounded with friends and followers. This person is a person of wisdom, intelligent and always a ruler and achieves the highest post in his life. His name becomes immortal. 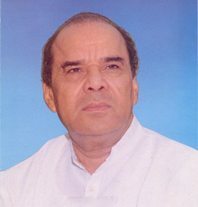 An Indian political leader, lawyer by training, Prasad joined the Indian National Congress during the Indian independence movement and became a major leader from the region of Bihar. A supporter of Mahatma Gandhi, Prasad was imprisoned by British authorities during the Salt Satyagraha of 1931 and the Quit India movement of 1942. Prasad served one term as President of the Indian National Congress from 1934 to 1935. After the 1946 elections, Prasad served as minister of food and agriculture in the central government. Upon independence in 1947, Prasad was elected president of the Constituent Assembly of India, which prepared the Constitution of India and served as its provisional parliament. 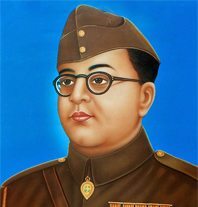 India’s most famous freedom fighter Subhash Chandra Bose who is also known as Netaji, fought against British during 2nd World War. He formed Azad Hind Fauz and gave a message to the Indians that “You give me blood, I will give you freedom”. Such a heroic person is having “Veshi Yog” in his horoscope. It happens when besides Moon any other planet is in 2nd house. In his horoscope Sun is in 10th house and Venus is in 2nd house. This condition forms Veshi Yog Rajyog. Persons born in this period are graceful and polite in behaviour. He can influence any person by his speech. He has a leadership quality in him. His performances are always greeted. Rabindra Nath Tagore is called the son of Goddess Saraswati. Who were a philosopher, poet, author and only man in the world received Nobel Prize in literature. Through the Bengali literature he energized the cultural consciousness among the Indian. In his horoscope “Saraswati Rajyog” is depicted. This Rajyog forms due to change of Houses of Jupiter and Sun. In his horoscope Jupiter in Lagna and in 5th house Jupiter are making the Yog of changing the places. It is called Saraswati Rajyog. The person having this Rajyog in his horoscope, he becomes the most respected and revered man in the world. In the field of poetry and music he becomes a stalwart and is called Saraswati Putra. 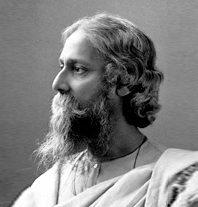 A Pirali Brahmin from Calcutta with ancestral gentry’ roots in Jessore, Tagore wrote poetry as an eight-year-old. At the age of sixteen, he released his first substantial poems under the pseudonym Bhānusiṃha (“Sun Lion”), which were seized upon by literary authorities as long-lost classics. By 1877 he graduated to his first short stories and dramas, published under his real name. As a humanist, Universalist internationalist, and ardent nationalist, he denounced the British Raj and advocated independence from Britain. As an exponent of the Bengal Renaissance, he advanced a vast canon that comprised paintings, sketches and doodles, hundreds of texts, and some two thousand songs; his legacy endures also in the institution he founded, Visva-Bharati University. Present Prime Minister of India Narendra Damodardas Modi was the 14th chief minister of Gujarat. He remained the Chief Minister for 4 terms. In his Horoscope “Budh Aditya Yog” Rajyog is detected which is in the 4th house of horoscope. This occurs when Mercury and Sun are combined. The people born in this Rajyog are clever, with great wisdom and solving any problem with most effective way. They have great self confidence and become famous around the world. 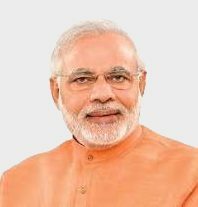 Narendra Modi was born on 17 September 1950 to a family of grocers in Vadnagar, Mehsana district, Bombay State (present-day Gujarat). He was the third of six children born to Damodardas Mulchand Modi (c.1915 – 1989) and Hiraben Modi (born c.1920). 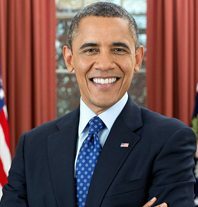 Barak Hussein Obama was 44th President of USA, who was the first African American President of America. Who achieved this after a hard struggle in life. According to Astrology there is “Kailash Rajyog” in his horoscope. This occurs when Sun and Mercury combines at Mool Triangular Rashi. In his horoscope Sun, Mercury, Mool Triangular Rashi and Cancer are in 9th house. This makes the person a high profile man and all his works are well praised. Obama was born in Honolulu, Hawaii, two years after the territory was admitted to the Union as the 50th state. He grew up mostly in Hawaii, but also spent one year of his childhood in Washington State and four years in Indonesia. After graduating from Columbia University in 1983, he worked as a community organizer in Chicago. In 1988 Obama enrolled in Harvard Law School, where he was the first black president of the Harvard Law Review. After graduation, he became a civil rights attorney and professor, teaching constitutional law at the University Of Chicago Law School from 1992 to 2004. Obama represented the 13th District for three terms in the Illinois Senate from 1997 to 2004, when he ran for the U.S. Senate. Mahatma Gandhi, the father of the Nation, who was main leader of freedom struggle and a spiritual leader having Rudra Yog according to his horoscope. This Yog forms with the combination planet Mercury and Jupiter. In his horoscope Mercury is under Lagna and Jupiter is in 7th house. When the sight of Jupiter is on Mercury, it forms “Rudra Rajyog”. The people having the above features are called unparallel king. 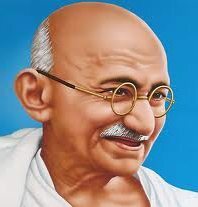 Mahatma Gandhi was the primary leader of India’s independence movement and also the architect of a form of non-violent civil disobedience that would influence the world. One can take the information about his sufferings through impecunious yoga, we will tell them the reasons and remedies from this state of condition. We will let you know the remedies and do’s and don’ts to avoid this type of catastrophe. We can re-establish the period of Rajyog and remove the ominous effect of impecunious yoga.